In the beginning of October 2016, a boat carrying women activists from around the world in solidarity with the Palestinian people and, in particular, with the Gaza Strip population that has been under Israeli blockade for the past decade was intercepted in international waters and taken into custody by Israeli military forces. 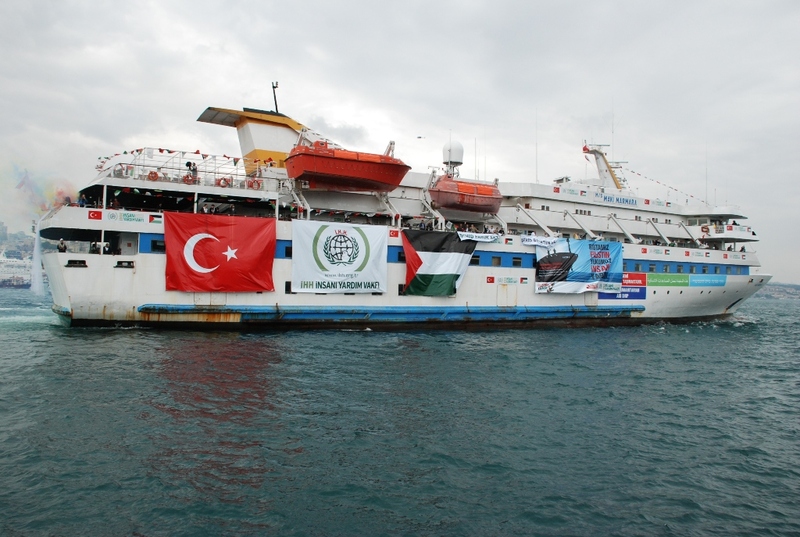 This boat was part of the Freedom Flotilla Coalition. The latter was formed after the first mission in 2010 as “a grassroots people-to-people solidarity movement composed of campaigns and initiatives from all over the world working together to end the siege of Gaza.” Although their actions have been strictly based on the principles of nonviolence, they were always denied to reach the Gaza Strip. The idea of the Women’s Boat to Gaza (WBG) has been related to the active role of Palestinian women in their national movement since the first Intifada in 1987. In fact, Palestinian women have always been a key actor in a variety of forms of resistance, both at the formal and informal level, in the West Bank and in the Gaza Strip. In detail, the Flotilla initiative has aimed not only to face the Israeli blockade, but also to share an international message of hope to all Palestinians and of solidarity with their everyday conditions under the Israeli military occupation in the West Bank as well as the siege in the Gaza Strip. As in previous cases, the international presence of activists has represented a symbolic and significant dimension of such initiatives. Throughout the route between Barcelona (where they started), Ajaccio and Messina (where they stopped for refuelling and solidarity events), to Gaza, the flotilla included outstanding international passengers. These include the Nobel Peace Prize winner Maired Maguire and the former US Army colonel and State Department official Ann Wright, along with well-known academics, journalists, lawyers, doctors. Also an Israeli Jewish activist and photographer, Yudit Ilany, was part of the group in the first half of the journey from Barcelona to Messina. When the Israeli navy intercepted the boat and arrested all the women activists on Wednesday 5th October, an international call was immediately launched in support of the initiative. In remembering what happened in 2010 with the tragedy in which ten Turkish activists of the Mavi Marmara flotilla were killed during an Israeli raid, several international voices raised against the Israeli illegal arrest and detention of these women in international waters. Among them, the three living members of the historical rock band Pink Floyd – David Gilmour, Nick Mason, and Roger Waters – posted a message on their Facebook page declaring to be reunited “to stand with the women of the Gaza Freedom Flotilla.” Such a standpoint is not new, as its leader, Roger Waters, has repeatedly supported the Palestinian cause and has strongly endorsed the Boycott, Divestment, Sanctions (BDS) movement. From the cultural arena to the different types of political activism that have taken place in the last decade, grassroots initiatives in denouncing the Israeli violation of Palestinian human rights continue to grow in strength both within the land of Palestine/Israel and across the world, especially in Europe and the US.